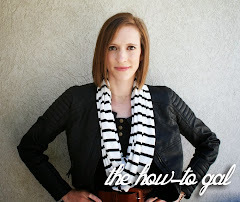 The How-To Gal: Paint, Mod Podge and Fabric...oh my! Paint, Mod Podge and Fabric...oh my! I seriously can't get enough of fabulous Before and Afters- especially when all that is required for the redo is a little paint, mod podge and fabric. Check out this "before and after" magazine stand from Mintage Home. Totally something you could do, right? Next time you hit the garage sale trail, think about the different pieces of furniture you see with a lovely new coat of paint, or covered in a different fabric. Your eyes will be opened to TONS of makeover possibilities. Seriously, I am going to go buy some mod podge to make something pretty. Thanks for sharing! Uh, wow! So you just painted it and got fabric and used mod podge to glue the fabric on (I guess that is exactly what you said, but I wanted an exact explanation). I'm very impressed. I should do stuff like that myself. I believe this could be totally something I could do!